I’m addicted to Joy Division. Again. Melody, lyrics, rhythm… everything makes sense. Ian Curtis was a great poet. 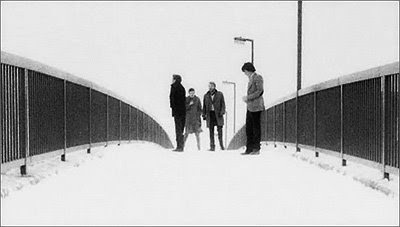 A new movie has been released about the band, the documentary Joy Division. Grant Gee’s movie is a complement to Anton Corbijn’s Control. The documentary contains interviews and concert footage. It’s not just a portrayal of the band but of the music scene it erupted from. Highly recommend it.